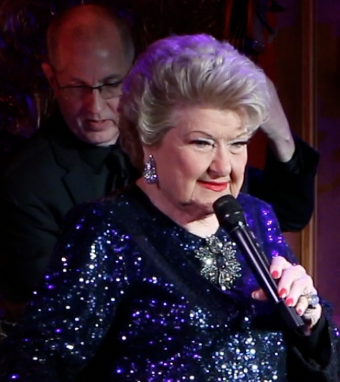 Home » Music Reviews » Marilyn Maye – A Force of Nature! 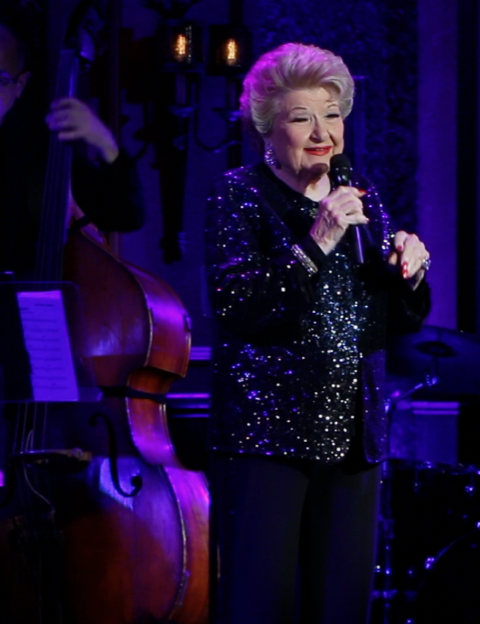 From a brilliantly devised title – “I Wish I Were 90 Again!” – to a well-constructed show, this remarkable chanteuse never ceases to amaze, thrill and bring her heart and soul to her loving audiences. Marilyn Maye could never be younger in spirit, vocal finesse, showing her love to all who are lucky enough to be in her presence. That’s just the way it is! It’s all about her inflections as she communicates the stories – powerfully and with humor as needed. Her rendition of “Too Late Now” (Burton Lane, Alan Jay Lerner) and “Everytime” (Hugh Martin, Ralph Blane) are filled with pathos. Adding “Bluesette” to her Blue Medley created a new dimension. How she spit out all those lyrics at such rapid speed to “I’m A Woman” (Leiber & Stoller) is mystifying. And so it was, a BIG love fest with the Numero Uno lady of jazz interpretation. As many times as I’ve seen and written about Marilyn Maye and searched for definitives and adjectives, I’m still at a loss to find the superlatives that define this one-of-a-kind songstress. God only knows what she’ll come up with for next year’s birthday!! With her able-bodied, amazing pianist/musical director Tedd Firth, along with Tom Hubbard on bass and Eric Halvorson on drums, the notable arrangements and musicianship would make anyone sit up and take notice. 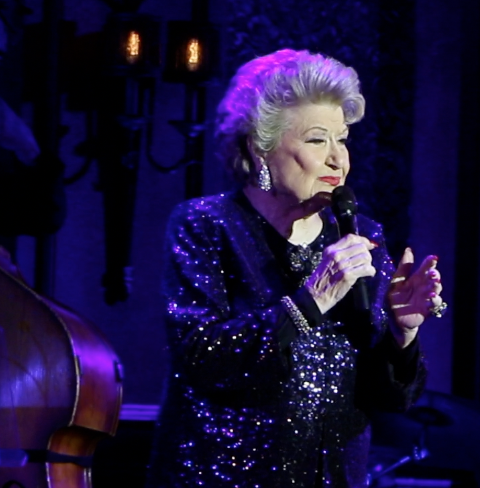 Ms. Maye continues at 54 Below on April 4,5, 7, 10, 11, 12 and 13 at 7 pm.